I’ve just established a relationship with two new MSB Friendly Banks. 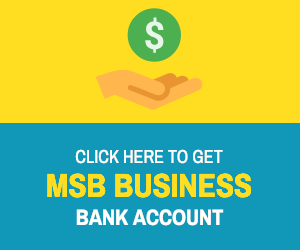 One bank is in the United States whilst the other MSB Friendly Bank is in Europe. I will be posting an application on how to apply for an introduction to these banks in the coming days. I’m still trying to find MSB Friendly Banks in Canada, but have not been able to. It seems, quite a lot of Canada MSBs have lost access to banking in the recent weeks. Even EFT Canada is now withdrawing its facilities from companies who are engaged in the Money Transfer Business. All these regulations will result in cryptocurrencies taking a larger portion of the pie and many MSBs and MTOs dropping fiat and dealing with cryptocurrencies (whether they do it legally or not, is questionable). Next ›Two more Canadian Banks go the Derisking Route.